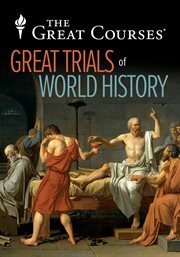 The instance The great trials of world history and the lessons they teach us, Professor Douglas O. Linder, (electronic resource) represents a material embodiment of a distinct intellectual or artistic creation found in St. Catharines Public Library. This resource is a combination of several types including: Instance, Video Recording, Electronic. The Trials of the "Scottsboro Boys"